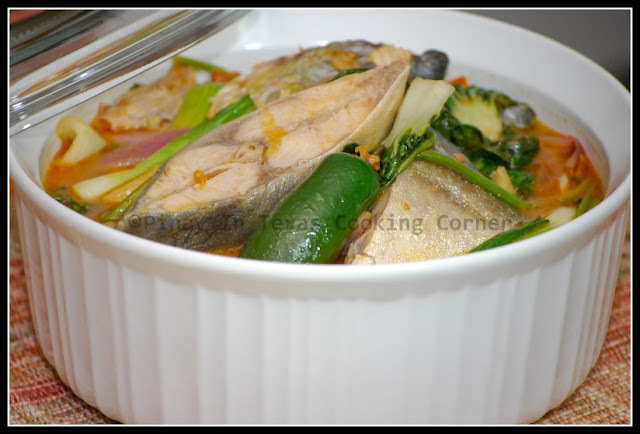 Among the many Filipino fish dishes, Sinigang na Isda (Fish in Sour Broth) is my daughters’ second favorite next to Cardillong Isda. Last night, I cooked Sinigang na Pompano sa Miso (Pompano in Sour Broth with Soybean Paste), and again, Clarise and Cherlin ate more than usual. This is just like the ordinary sinigang, the only difference is the addition of miso paste in it and it is better cooked with sauteing involved. This is another very-easy-to-cook and healthy dish. The flavor of all the ingredients combined together makes this dish truly comforting! It’s really worth a try! 1. Sprinkle the fish with salt. Let sit for at least 10 minutes. 2. In a large saucepan, sauté garlic, onions, ginger and tomatoes until the tomatoes are soft. 3. Add the miso and mash. Pour the water and cover the saucepan. As soon as it boils, add the tamarind broth or sinigang mix. 4. Add the fish sauce. Stir before adding the fish. Cover saucepan and bring to a boil again. Simmer for about five minutes or until fish is cooked. 5. Add salt and pepper to suit your taste. 6. 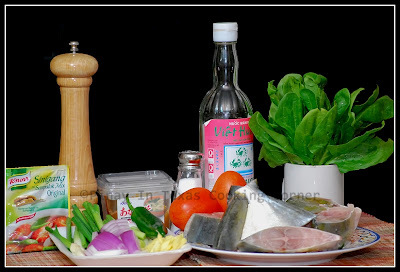 Add mustasa or spinach or pechay and siling haba. Simmer for 2-3 minutes or until vegetables are almost cooked. Remove from heat. 7. Serve hot with rice! * To make tamarind broth, boil unripe tamarind until soft. Mash the tamarind and then strain. Looking forward to seeing more good food from you!